​Lafayette shooting: Gunman ID'd as "kind of a drifter"
Police say a 59-year-old white male, described as "kind of a drifter," was the gunman who shot 11 people at a Lafayette, La., movie theater Thursday night, killing two people before turning the gun on himself. John Russell Houser, who also went by the nickname "Rusty," was described by associates and family members as unstable. In 2006 Houser applied for a concealed carry permit, which was denied, because of an arrest record and an indication of mental issues. Lafayette Mayor Lester Joseph Durel, Jr., said Houser's prior arrests were for arson and a misdemeanor for selling alcohol to a minor, but that he had no arrest record in 10-15 years. Formerly a resident of Phenix City, Ala., Houser had been staying since early July at a local motel, Lafayette Police Chief Jim Craft said. It was there that, following last night's shooting at the Grand 16 theater, investigators found wigs, glasses and disguises. In 2008 Houser's wife and other family members asked for a temporary protective order against him. Court documents said Houser "exhibited extreme erratic behavior and has made ominous as well as disturbing statements." The documents also said that while he lived in Phenix City, he had traveled to Carroll County in Georgia, where they lived, and "perpetrated various acts of family violence." Houser "has a history of mental health issues, i.e., manic depression and/or bi-polar disorder" the filing said. The documents also state that Houser's wife, Kellie Maddox Houser, became "so worried about the defendant's volatile mental state that she has removed all guns and/or weapons from their marital residence." The protection order was at least temporarily granted. Also in 2008 and 2009, Houser was treated by East Alabama Mental Health Center. In March Kellie filed for divorce. Sheriff Heath Taylor, from Russell County, Alabama, told CBS News that Houser lived in Phenix until 2014, when he was evicted from a rental property on 32nd Street. After being served his eviction notice, Houser destroyed some of the property in the residence. There was a criminal mischief complaint filed, but Sheriff Taylor wasn't sure if an arrest warrant was ever issued. Authorities are investigating web postings that appear to have been written by Houser, in which he espouses right-wing, reactionary politics. 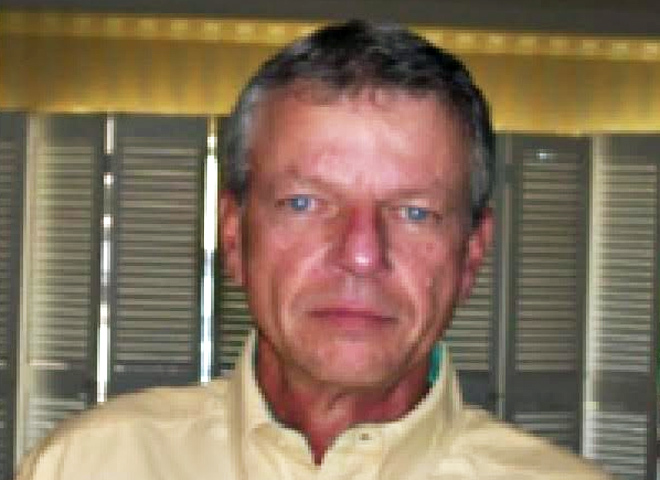 According to the Southern Poverty Law Center, Houser wrote approvingly of Adolf Hitler, Oklahoma City bomber Timothy McVeigh and the Westboro Baptist Church, and made racist statements about blacks. "Hitler is loved for the results of his pragmatism. There is no question of his being the most successful that ever lived. At this time the US is no more than a financially failing filth farm. Soon the phrase 'ruling with an iron hand' will be palatable anew." "I do not want to discourage the last hope for the best, but you must realize the power of the lone wolf, is the power that can come forth in ALL situations. Look within yourselves." Houser graduated from the Jones School of Law at Faulkner University in Montgomery, Ala., in 1998, prior to the law school receiving ABA accreditation. However, he was not licensed to practice law in either Alabama or Georgia, and there is no indication he ever took those states' bar exams. According to his Linkedin page he has owned/operated two bars: the Peachtree Pub in Columbia, Ga., in 1979-80; and Rusty's Buckhead Pub in Lagrange, Ga., in 1998-2000. In 1993 Houser made several appearances as guest host of a morning show on WLTZ, an NBC affiliate in Phenix City, called "Rise and Shine." On his Linkedin page Houser wrote of his appearances, "Invited political controversy on every one of them, and loved every minute of it." Thestation wrote that an investigation by WLTZ into Houser's background did not turn up a criminal record, though a former business partner of Houser had stated that he seemed "a bit unstable." A political activist who was vocal on local tax issues, Houser -- son of the late Rembert Houser, a longtime Columbus city tax commissioner -- once ran for the office himself, the Ledger-Enquirer stated, but withdrew from the race after being charged with stealing an opponent's yard signs. Speaking to the paper, Superior Court Judge (and former Columbus Mayor) Bobby Peters remembered Houser's sitting in on city council meetings: "He was very outspoken, highly intelligent, really didn't trust government and anything about government. He always thought something was going on behind the scenes. He came across with a very conservative agenda." Police are still searching or a motive for the shooting at the Grand 16 theater Thursday. According to police, Houser was alone in the screening of the comedy "Trainwreck" when, about 20 minutes into the film, he began indiscriminately firing. Two women were killed. Nine others were injured. The dead -- both of whom were sitting in front of Houser when he began firing -- were identified as Mayci Breaux, a 21-year-old white female from Franklin, who was found dead at the scene; and Jillian Johnson, a 33-year-old white female from Lafayette, who died at the hospital. At a press conference Friday afternoon, doctors at Lafayette General Hospital said that out of five patients brought in last night, two have been discharged, and one previously listed in critical condition is now stable. Craft said it is believed Houser had planned to make his escape after the shooting; his 1995 blue Lincoln Continental was parked near an exit door. However, after blending into the crowd, the arrival of police prompted him to return into the theater, where he died from a self-inflicted wound. Houser dropped one magazine from his weapon in the lobby and reloaded before re-entering the theater. "The quick law enforcement response forced him back into the theater, at which point he shot himself," said Craft. Police recovered a .40 caliber handgun manufactured by High Point at the scene; at least 13 bullets had been discharged in all. No other weapons or devices were found in his car or his room at the Motel 6 where he has been staying since early July. Police said Friday that Houser had purchased the handgun legally at pawn shop in Alabama in 2014. Police also said that he had visited the theater more than once, perhaps to determine "whether there was anything that could be a soft target for him." Craft said there were no indications that Houser had any accomplices, and no known ties to the Lafayette area. Sources say Houser is estranged from his family, and that is complicating the search for answers. Investigators are asking the public for any information they may have about Houser, and have set up a special 24-hour hot line to call: (337) 291-8650. Investigators said the shooting appears to have been random. "He wasn't saying anything. I didn't hear anybody screaming either," Katie Domingue told The Advertiser newspaper. "We heard a loud pop we thought was a firecracker." Domingue said she heard about six shots before she and her fiance ran to the nearest exit, leaving behind her shoes and purse. Lucas Knepper was seated in the same row as the gunman. Knepper told CBS News correspondent Omar Villafranca there were several empty seats between them. "We look to the left and it's the shooter just standing up just shooting at the whole crowd," Knepper said. "He was, like, 6-7 seats down from us. ... He just looked like a common guy off the streets, good looking guy, just normal ... (with) white hair white facial hair. And said nothing." Witnesses heard popping noises and saw flashes of light, reports Villafranca. Some people ran out without their shoes and abandoned their belongings. Stories of heroism immediately began to emerge, with Louisiana Gov. Bobby Jindal, who traveled to the scene about an hour west of the state capital of Baton Rouge within hours of the shooting, telling reporters a teacher who was in the theater jumped in front of a second teacher, saving her life. The second teacher then managed to pull a fire alarm to alert other moviegoers, he said. "Her friend literally jumped over her and, by her account, actually saved her life," the 2016 presidential hopeful said. The shooting took place a week after James Holmes, the man who shot and killed 12 people at a movie theater in Aurora, Colo., was convicted, and on the very day a jury said his attack was cruel enough to consider sentencing him to death. State Police Superintendent Col. Michael D. Edmonson said police believe the gunman fired shots only at the theater and had not waged an attack anywhere else beforehand. President Obama was briefed on the shooting aboard Air Force One by Lisa Monaco, his homeland security adviser, while on his way to Africa for a two-nation visit, the White House said. Mr. Obama asked his team to keep him updated on the investigation and the status of those wounded. He also offered his thoughts and prayers to the community and to the families of those who were killed. Outside the movie theater complex hours after the shooting, a couple of dozen police cars were still at the scene, which authorities had cordoned off with police tape as onlookers took photos with their cellphones. Landry Gbery, 26, of Lafayette, was watching a different movie, "Self/less" at the time of the shooting when the lights came up and a voice over the intercom told everyone there was an emergency and they needed to leave. Clark's son, Robert Martinez, said he saw an older woman run past with blood streaming down her leg, and screaming that someone had shot her.